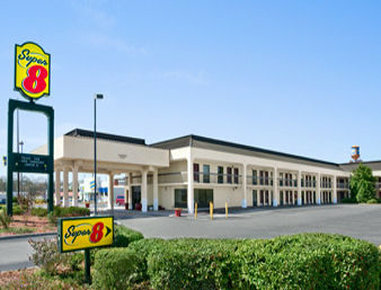 Check Rates & Availability at Super 8 Oxford! Welcome to the Super 8- Oxford Alabama. We are located just 20 miles east of the Talladega Super Speedway. Our team is committed to providing great service and exceeding your expectations. Our hotel is conveniently located near shopping malls and restaurants. We jump start your day with a Complimentary Hot Breakfast and enjoy a good workout in our newly remodeled Fitness Center. Satisfaction is guaranteed. Free Parking and Meeting Facilities are available. Pets are accepted at a fee of 10.00 per pet per day. Sanitation fee if applicable is 20.00. ADA defined service animals are also welcome at this hotel.